A young Illinois man died from a broken neck Sunday after he fell from the back of a golf cart , reminding us that golf carts can be very dangerous. The 20-year-old was found by police around midnight after falling out of golf cart. The driver of the cart and two other passengers were not injured, but police believe alcohol may have been played a role in the accident. This brings up two issues – the fact that golf cart accidents, just like other vehicle accidents, can lead to injuries and death, and that they can also lead to lawsuits. Just like with auto accidents involving cars, trucks and SUVs, you do not have to be driving a golf cart to be killed or sustain a serious injury. Once a thorough investigation is conducted, the negligent parties involved in this incident could be held legally liable for damages regarding this man’s death. For those who have been injured or lost someone close to them in a golf cart accident in Citrus County, a personal injury or wrongful death claim can seek the same damages you can obtain for a motor vehicle collision, including medical expenses, lost wages and pain and suffering. Who was driving the golf cart when the accident occurred? Just like auto accidents, the driver in a golf cart collision is likely the liable party when it comes to injuries suffered by a passenger. Who is the owner of the golf cart? If a golf course, country club or individual owns the cart and they failed to properly maintain the vehicle, it can be argued that they are legally liable for damages due to their negligence. Who is the property owner of the accident site? 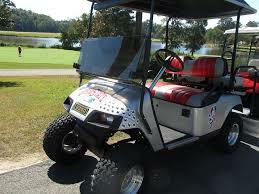 If a golf cart accident takes place on private grounds, this opens the door to a potential premises liability claim. Most golf courses are on private land. Were alcohol and/or drugs to blame for the crash? If it is found that an intoxicated golf cart driver is to blame for a crash, then whoever served him or her alcohol could potentially be at fault under Florida’s Dram Shop Liability Laws. Every golf cart accident case involves a unique set of issues, so the above are just a few factors that can come into play in these types of cases. If you have been injured, or someone you love has been unexpectedly taken from you in a Citrus County golf cart accident, please call a Citrus County Golf Cart Accident Injury Lawyer at Whittel & Melton today at 352-726-0078 for a free, no obligation consultation or contact us online.